The latest threats from Syriza to the EU don’t bode well for Europe. But how long before the potential outfall spreads across the world? Greece’s new government is creating shockwaves in Europe that will likely spread far and wide. Only sworn in at the end of last month, the Syriza party has let it be known from Day One that it will not bow to the European Union and its proposed austerity measures. To the contrary, Syriza has threatened to go elsewhere to receive funding to avoid economic collapse at home, with defense minister Panos Kammenos hinting that they may even turn to Russia or China for aid. Comments like this have increased speculation that Greece will leave the eurozone, otherwise known as the ‘Grexit’. Now pause… take a second to re-read that quote from Elward. As you follow the news over the following few days, weeks and months, remember this quote. Now picture the potential “upsurge in gold sales” when current uncertainty and turmoil in Greece inevitably spreads to other regions. First it could start in Europe – how do you think citizens of troubled nations like Italy, Spain and Portugal will react if Greeks successfully stand up to the EU?. And soon after, it could easily spread across the globe. 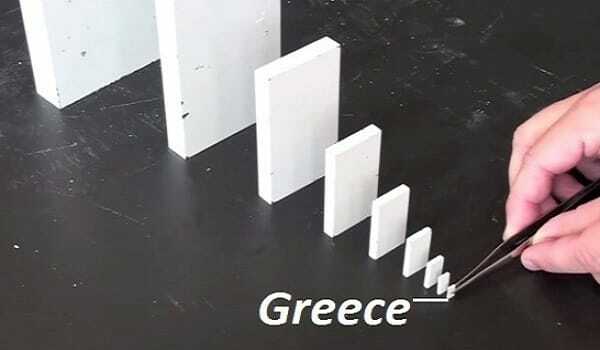 If successful at all, recent events in Greece will likely only inspire citizens of nations around the world to demand that their governments be held accountable. It’s clear that the financial and political troubles brewing in Europe are far from over, with the next moves by Greece possibly sending financial markets into turmoil that’s even worse than the collapse of Lehman Brothers in 2008. The next few weeks will be interesting for Greece as they scramble to find funds to keep the country above water. If they are unable to get their act together and broker some deals, contagion will likely spread across the border like an infectious Financial Ebola. Now remember the quote from earlier: “We tend to see an upsurge in (gold) sales at times of political and financial uncertainty.” As the world continues on its path towards further instability both politically and economically, it won’t just be citizens who will be rushing to get their hands on physical gold. And when central banks make a move, they move in the millions (or billions) of dollars. So what are you going to do: Will you get in now – as the price of gold seems to have found a firm floor at production cost – or will you wait and join the herd – like people at a Black Friday sale stampeding over each other, all desperately trying to get their hands on what’s left? Remember: It’s much better to be a few months early than a day late. Get started today. We have all sorts of great info on how to purchase gold and silver on our SlideShare account. Visit us there to learn more.